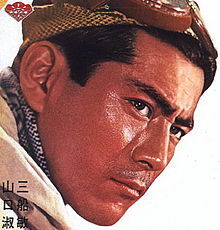 Toshirō Mifune (Japanese: 三船 敏郎 Mifune Toshirō – IPA: [miɸɯne toɕiɺoː]) (1 April 1920 – 24 December 1997) was a Japanese actor. He had roles in almost 170 movies. This page was last changed on 11 August 2017, at 05:12.